Hey everyone! I feel like I haven't posted in forever. I missed Monday because I was in Montauk with the BF and his family. We had an awesome time and the weather was absolutely perfect. Btw, that Nails Inc. Bamboo White held up perfectly for 5 days, no chips! I have a really exciting unboxing to share with you today. On July 17th I was able to snag one of the limited edition Northeast Meets MidWest boxes from the MidWest Lacquer shop. 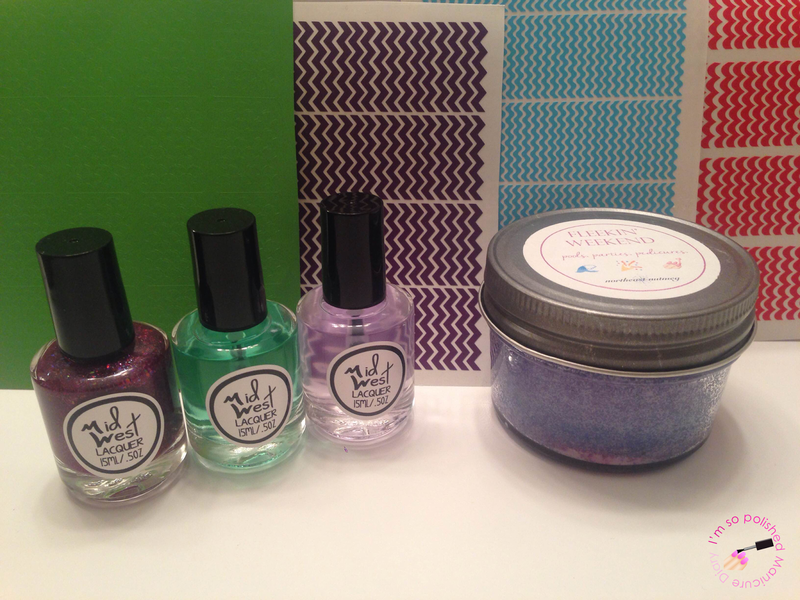 This box was an awesome collaboration between Northeast Nutmeg, a soy candle creator, and Vinyl It Up/MidWest Lacquer, who sells nail vinyls, decals, and nail polish. The box retailed for $25 shipped and all proceeds from the sale were donated to Resolve.org, an organization helping to improve the lives of those living with infertility. Now for the goodies that came in the box! Oh my gosh, you guys. Can we just stop for a second to appreciate the name of this candle? And EMOJIS on the label?! So great. 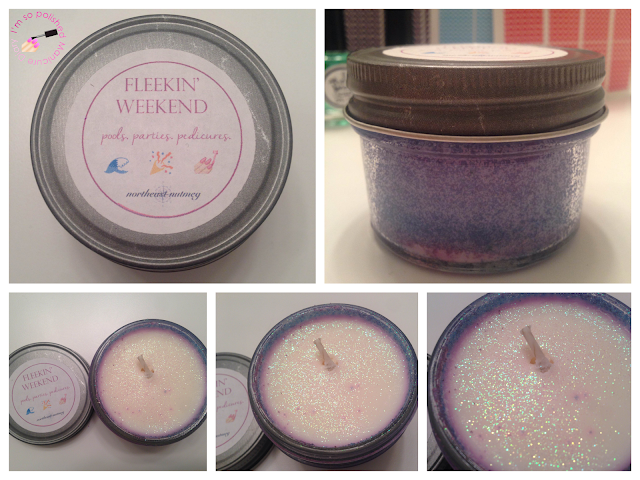 The candle is white with a mix of purple glitters. I've been smelling it over and over trying to figure out the scent and then I realized it was bubblegum! It totally took me back to my childhood. I can't wait to get this candle burning. Each box contains a variety of four types of nail vinyls. Full sheets! 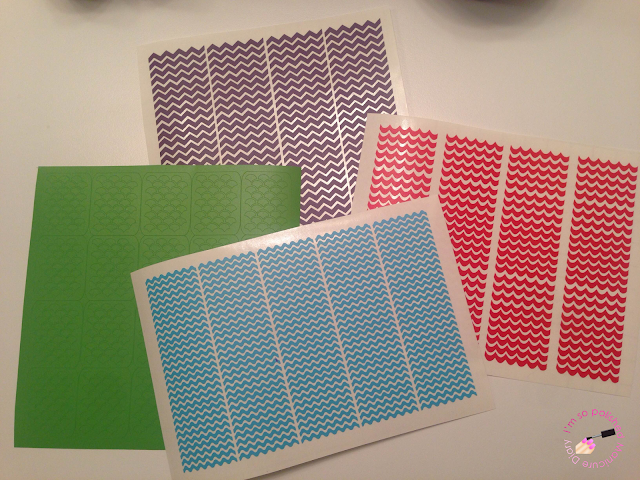 I have a bunch of vinyls that I have bought from Vinyl It Up in the past and they are super fun to use. I'm most excited to try the scale stencil because mermaid nails, duh. This base coat is basically like double stick tape for your nails. 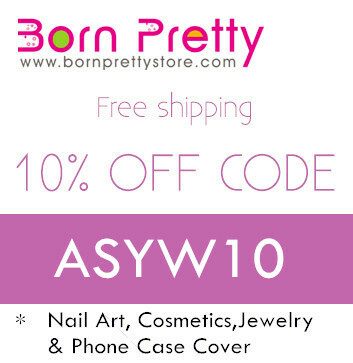 It adheres to your nails and creates a nice sticky base for your nail polish. I'll be trying it out with my next mani. This top coat, like the base coat, is 5-free and it is also non-yellowing and glossy. I'll pair it with the sticky base for my next mani and see how the wear time is! Once again, the name. So so good! I would describe this color as a purpley pink with some gorgeous multicolor flakies. I'll be using this one for my next mani along with the base and top coat so be on the look out for that post by the end of the week! Overall I'm very happy with my purchase, plus all the proceeds are going to a great cause. Win win!